Students take tests all through their school years, but there is never one as important as when they prepare for the college entrance exams. 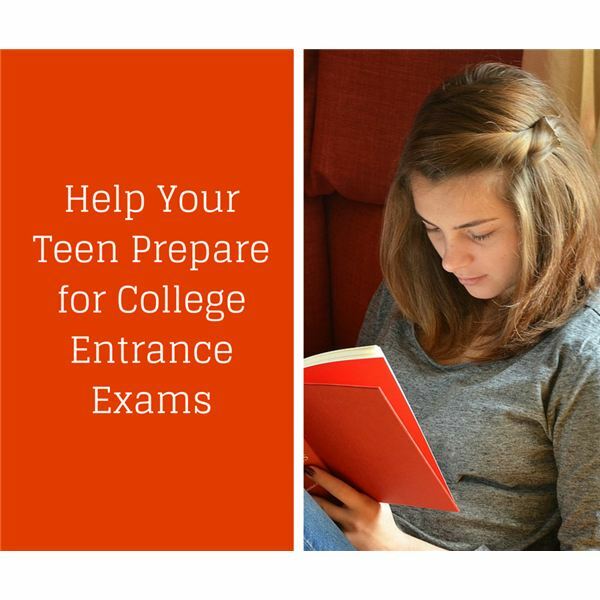 The best way to prepare for these important tests depends on which tests are required for the college your child wants to attend. Standardized assessments generally follow certain guidelines and traits, so there are some basic strategies that can help no matter what type of test they will be taking. Know the test format and question types. Many tests that teachers traditionally gave as “paper and pencil” exams are now on computer. This is an advantage for many who did not perform as well on the previous format. High schools usually have access to practice materials for college entrance exams. See if you can get some practice tests or find out if there are websites that allow you to practice for the specific test your child will be taking. Start this process months before the scheduled test date, so that there will be plenty of time to remediate skills before the actual testing time. Use technology and downloadable apps to remediate skills. In a previous post, we talked about the use of apps to remediate skills that students are lacking. This is especially important when preparing for a college entrance exam. Learn the cutoff dates and scores. If you miss the deadline, you may have to put off registration into the college of your choice for an entire semester or more. Find out deadlines first, then discover the minimum scores for college entrance. Depending upon the status of the university or school, minimums may be easy to master. However, universities that are more prestigious only accept the upper-scoring students. It always helps to know what you are up against before taking the test. Take the test at least a year before you plan to enroll. Students may generally take college entrance exams in the junior year, providing plenty of time to retake them. This is important because you do not want your child’s college registration to be delayed if they have to repeat the test to be admitted. For struggling learners, you may want to consider community college first. Many community colleges do not have minimum cutoff scores. In addition, if your child has had an IEP during their school years, they will likely qualify for Section 504 (The American with Disabilities Rehabilitation Act), which covers any medical-related illness, including learning disabilities. This may entitle you to help on the standardized tests including alternate test locations, test forms, or in some rare cases, the use of technology. The best way for your child prepare for the college entrance exams is to do well in school. Schools are so aligned with the state and national test standards now that it is feasible to believe they will do well on college entrance exams if they are successfully passing course material and unit tests in school. Find out if your school is aligning their standards with Common Core and other state and national standards. This is the most important factor in insuring that your child will master the college entrance exams if they are successful in their regular schoolwork. Finally, continue to consult with your child’s teachers as often as necessary to see that they are getting the skills and the test strategies they need to do well on the tests. The college entrance exams are probably the most important standardized tests your child will take through school. Therefore, it is wise to prepare way ahead of the game.